This post was written by Thom van Dooren and Deborah Rose. It is the text of a short presentation delivered at “Dangerous Ideas in Zoology,” the 2013 forum of the Royal Zoological Society of New South Wales. For roughly the past five years, our combined research has focused on extinction. Drawing on the resources of the humanities – in particular philosophy and ethnographic work with local communities – we’ve explored what this particular form of mass death means for those caught up in it. How does extinction undermine various lives and livelihoods? How are funerary practices and indigenous forms of multispecies kinship challenged and unravelled by disappearing animals and plants? Why do some people dedicate their lives to conservation – what principles guide and motivate them – and why do others care so little? Importantly, however, our work has not simply focused on the ‘human dimensions’ of extinction. Instead, we have sought to challenge any neat separation between the ‘natural’ and the ‘cultural’. Our research has explicitly drawn the humanities into conversation with biology, ecology and ethology to explore entangled communities of humans and nonhumans – to explore how diverse ways of life are being transformed at the edge of extinction. As philosophers and anthropologists, one of our central concerns has been exploring what it might mean to develop an ethical relationship with extinction in our current period of anthropogenic mass extinction. In this context, we have been particularly intrigued, and more than a little alarmed, by the growing interest that has surrounded so-called “de-extinction” projects. Over the last few decades, but with increased intensity in the last few years, a range of technologies and approaches have begun coalescing under the banner of ‘de-extinction’. Often framed in terms of atonement for past sins committed by a collective ‘humanity’, these de-extinction approaches range from the relatively low-tech programs of back-breeding that produced Heck cattle, through to the new possibilities opened up by interspecies somatic cell nuclear transfer and allele replacement techniques. While successes to date have been incredibly limited, the enthusiasm that surrounds the promise of something to come has proven to be highly contagious in some sectors. A central part of what concerns us about these projects was succinctly captured by environmentalist Stewart Brand – now a leading de-extinction advocate – in his March 2013 TED talk. After listing a range of iconic species driven to extinction by humans in the past couple of hundred years, he posed the question of how this history makes us feel, and how it is that we ought to orient ourselves in relation to it. There is something disturbing about this response to extinction. Extinction, of course, is both an historical and an ongoing phenomenon, but importantly, it is also one that is firmly grounded in a wide range of complex cultural, religious, economic and technological practices and systems. Brand’s commitment to practical action, to moving forward, is perhaps not in itself problematic, but when it is presented as an alternative to a meaningful and empathetic engagement, something is wrong. As we grieve, we appropriate new understandings of the world and ourselves within it. We also become different in the light of the loss as we assume a new orientation to the world. In short, mourning is a process of learning and transformation to accommodate a changed reality. Mourning is about dwelling with a loss and so coming to appreciate what it means, how the world has changed, and how we must ourselves change and renew our relationships if we are to move forward fromhere. In this context, genuine mourning should open us into an awareness of our dependence on and relationships with those countless others being driven over the edge of extinction. The reality, however, is that there is no avoiding the necessity of the difficult cultural work of reflection and mourning. This work is not opposed to practical action, rather it is the foundation of any sustainable and informed response. It is precisely this kind of reflection that leaves us with a healthy sense of cynicism in relation to Stewart Brand’s vision of the world and the possible place of resurrected species within it. But where is this world? In our research we have encountered many individuals and even small communities of people who miss extinct species. But to rush from here to a “world that misses them” is to move too far too quickly, and in so doing to brush over all of the difficult work of living well with others. The history of endangered species conservation over the past few decades is one of a slow awareness of the need to work with local people – to take seriously their values, livelihoods and cultural formations. And yet, all this hard earned history seems to have been immediately forgotten when the possibility of a resurrected mammoth entered the room. Where would returned mammoths go? 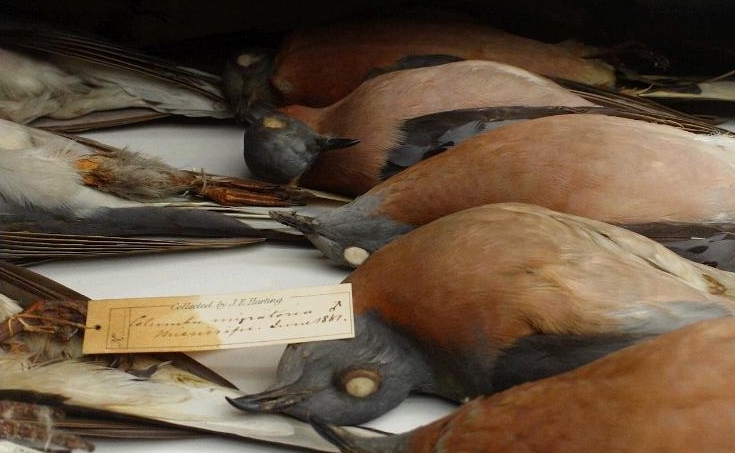 What about passenger pigeons? Once present in flocks of hundreds of millions of birds, which part of the contemporary United States will play host to these animals? How quickly will they be declared pests and targeted for ‘control’ or eradication? Closer to home, what sense does it make to dream of returning the thylacine when we cannot even ask people to make room for dingoes? How have the sheep farmers that once played a pivotal role in the extinction of the thylacine in Tasmania so changed their ways that this resurrection will be a success? Or are we resurrecting species for a future life in a theme park, or perhaps as pets – animals whose primary purpose is to serve as living testimony to the human techno-triumph of having brought them into being. In short, while there might be some viable candidates for de-extinction, any realistic and responsible application of these technologies would need to take the broader cultural and economic context far more seriously than is currently the case. These are entangled human and nonhuman communities of life that need to be considered in all of their evolving complexity. Taking this complexity seriously reminds us that many people do not miss these extinct species. Many people do not or will not welcome them back into their lives or environments. The spate of recent monk seal killings in Hawaii is just one example from our current research. Here, an iconic charismatic mammal that is highly endangered is frequently targeted by locals – shot or beaten to death – and left on the beach. In the same island chain we have also been researching efforts to release captive bred Hawaiian crows (‘alal? ), a species now extinct in the wild. Here too, local responses are deeply mixed – many supporting conservation but many others seeing it as an intrusion into local lives and landscapes. This is so much the case that conservationists fear that released birds may be targeted by local hunters unhappy about changing forest management. Of course, the difficulty we have convincing people that they should make room for a monk seal or a crow that has been missing from the forest for 10 years will pale in comparison to the suggestion that they ought to accommodate a carnivore like the thylacine or immense flocks of passenger pigeons. What we’re pointing to here are real issues in relation to the ways in which de-extinction projects might impact on local communities; how they might be perceived by local communities; and how, in turn, de-extinction might come to impact on the broader endangered species conservation agenda. This mainstream conservation agenda is already viewed with scepticism if not outright hostility by many people. In many of the places where we conduct research, it seems likely to us that de-extinction will be viewed as an extravagant expense, out of touch with reality, producing yet more obstacles for local livelihoods. In short, there is a real risk that these projects may undermine goodwill towards conservation through their perceived role in unnecessarily manufacturing additional conservation problems with all their attendant impacts on local people. In this complex context, we do not need the promise of a new techno-fix that allows us to reverse the unimaginable. Rather, what is needed is the kind of difficult reflection and discussion that forces us – as individuals and cultures – to dwell with our actions and their consequences, and in so doing – maybe, just maybe – begin to wind back the current rate of extinctions. In an important sense, we are not yet ready for de-extinction – if indeed we ever will be. Instead, what the current time demands is a genuine reckoning with ourselves as the agents of mass extinction. In short, we need to mourn, to spend a little time with the dead; to keep faith with death and in so doing to own up to the reality of the world that we are ushering in. The featured image on this page is by Richard Lake, from the Yellowstone Photo Collection.